Prefer shallow, vegetated areas near the Bay’s shoreline. Fourspine sticklebacks move to deeper channels in winter. Threespine sticklebacks visit the Bay during winter and spring, venturing as far north as Kent Island, Maryland. Fourspine sticklebacks are found throughout the Bay year-round. 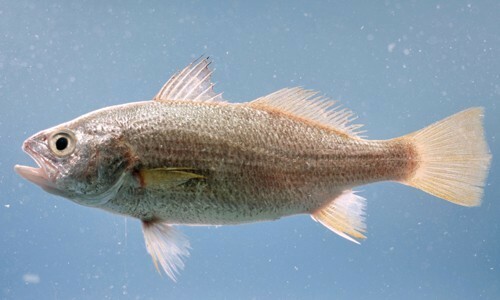 Two species of sticklebacks can be found in the Chesapeake Bay: the threespine stickleback, Gasterosteus aculeatus, and the fourspine stickleback, Apeltes quadracus. Sticklebacks grow 2 to 4 inches in length, with fourspines slightly smaller than threespines. Threespines have three spines on their back (two large and one small) and vary in color from gray to olive to brown, with black speckles all over. They have bony plates running along their sides. 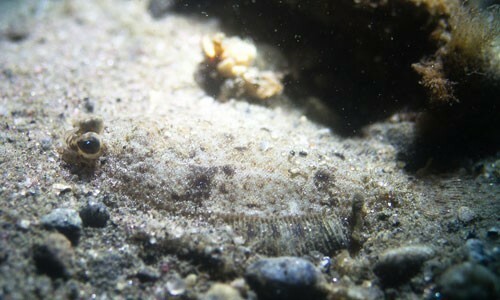 Fourspines have four spines on their back (three large and one that is attached to the dorsal fin) and vary in color from brownish-green to black with dark, mottled patterns. They have a bony ridge on either side of the abdomen. Sticklebacks are bottom-feeders that mainly eat tiny crustaceans. Larger fish prey on sticklebacks. 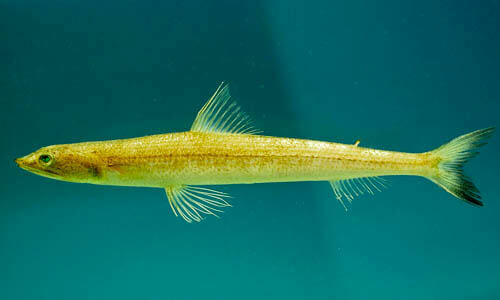 Threespine sticklebacks are anadromous, spawning from late February through September in the fresh and brackish waters of the Bay’s western shore rivers. Male threespines develop a reddish belly during breeding. The male builds a ball-shaped nest of leaves in the soft, muddy bottom, into which the female lays 75 to 100 eggs. The male cares for the eggs until they hatch and the young are able to take care of themselves. Fourspine sticklebacks spawn in late April to early May among bay grasses beds near the shoreline. Male fourspines have bright red pelvic fins during breeding. The male uses grasses and weeds to build a cup-shaped nest. One or more females lays eggs into the nest. The protective male guards the eggs and young for several weeks, keeping the nest clean and attacking other fish that swim too close. Sticklebacks live for 1 to 3 years. Sticklebacks are one of the most scientifically studied non-game fishes.